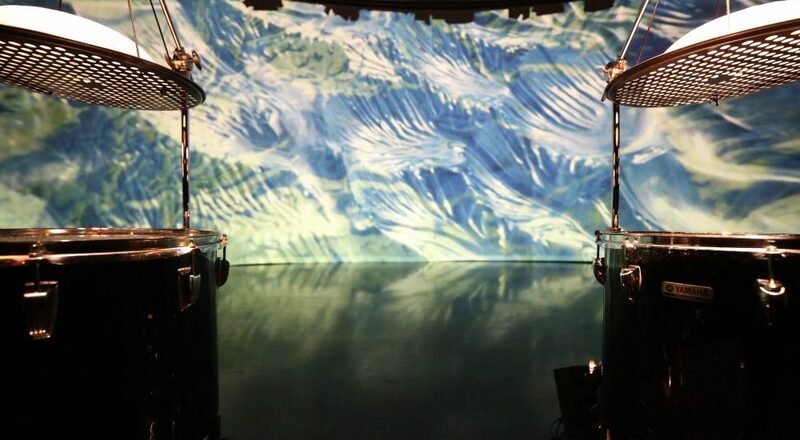 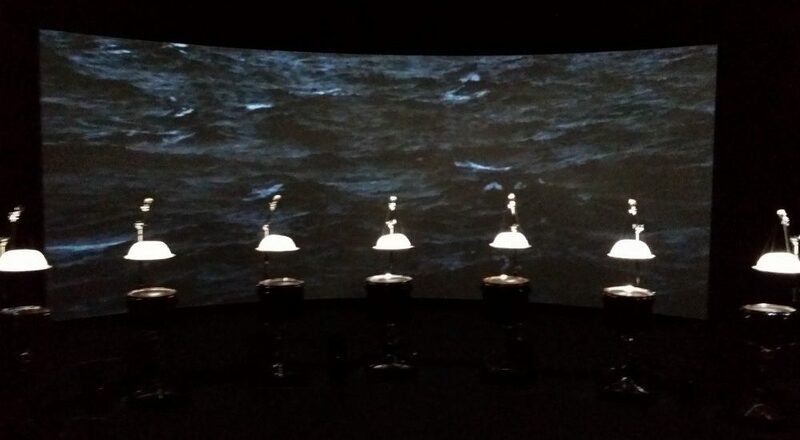 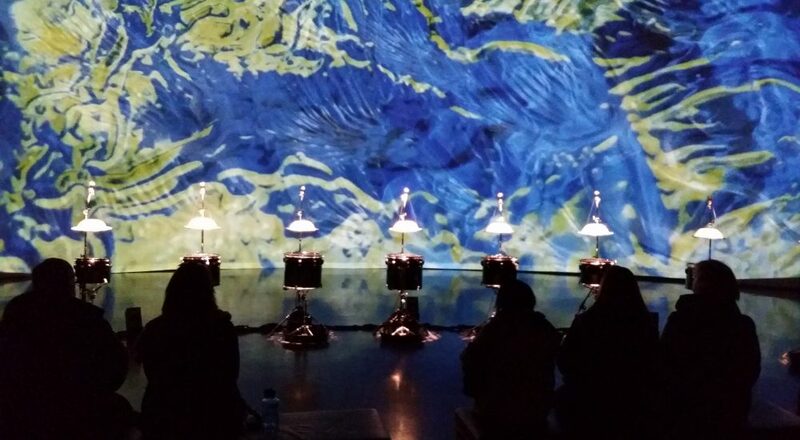 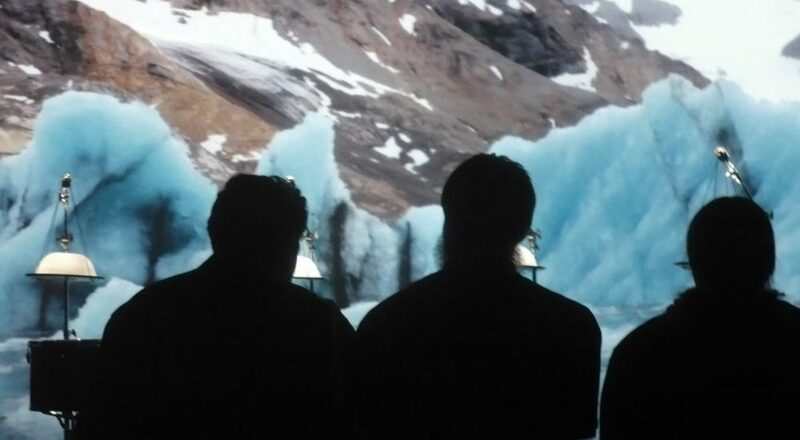 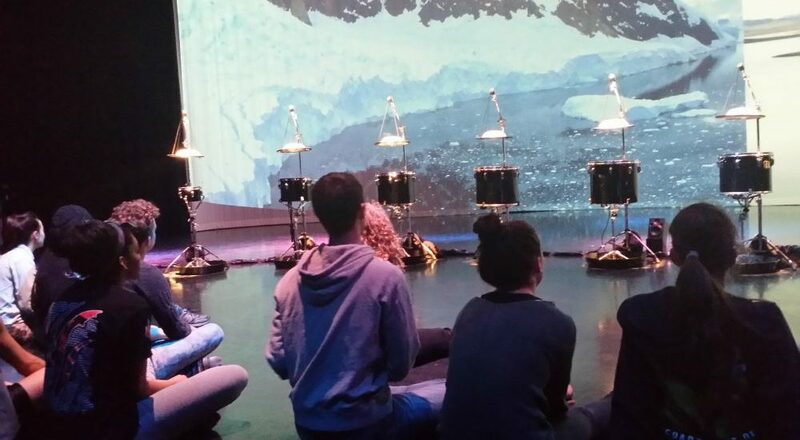 Musicians, composers and artists Michael Gould, Stephen Rush and Marion Tränkle have collaborated with climate scientist Henry Pollack to create a multimedia installation that captures current traces of climate change. 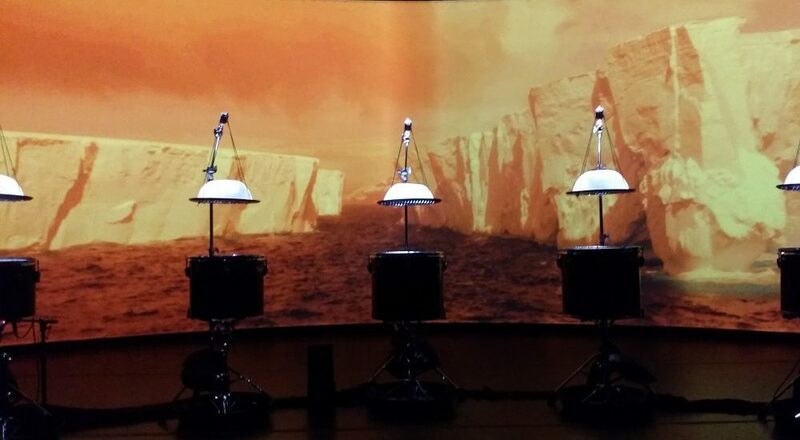 The collaboration takes its inspiration from Henry Pollack’s book A World Without Ice. 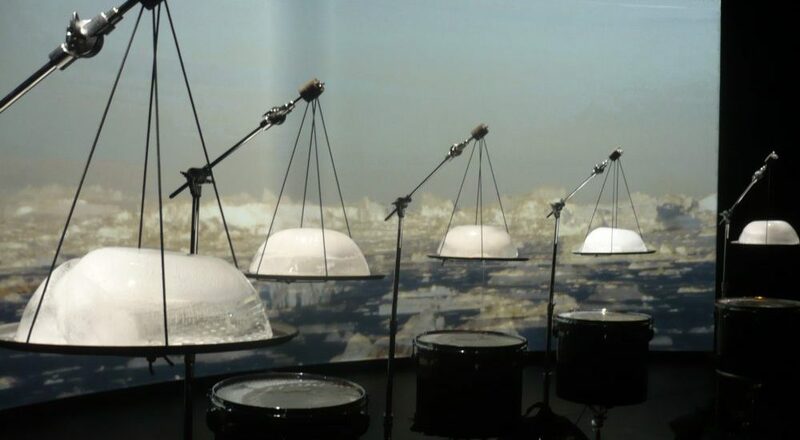 An original composition by Stephen Rush, with musical patterns and structure derived from a century of climate data, anchors the installation. 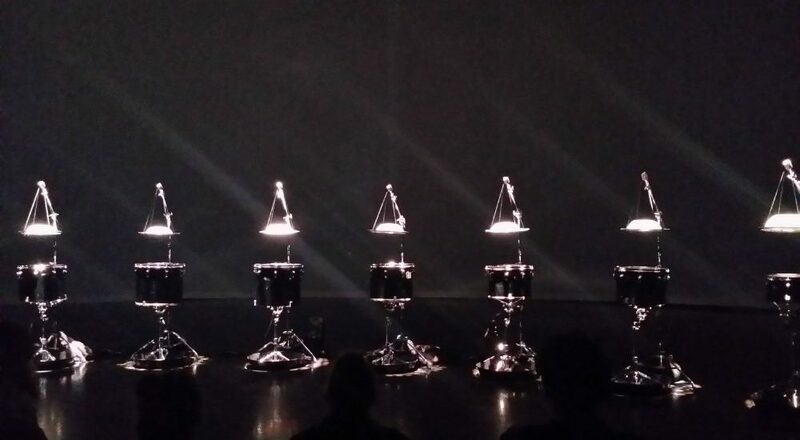 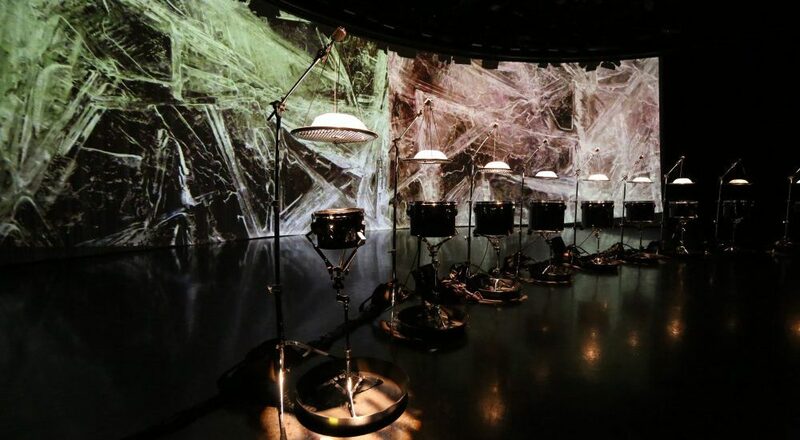 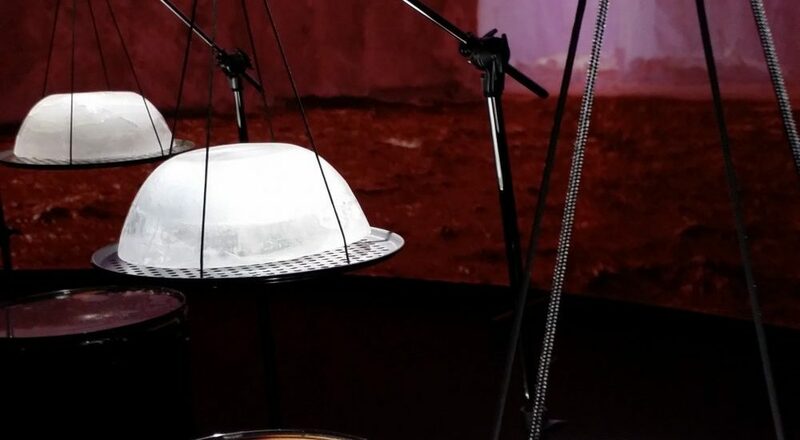 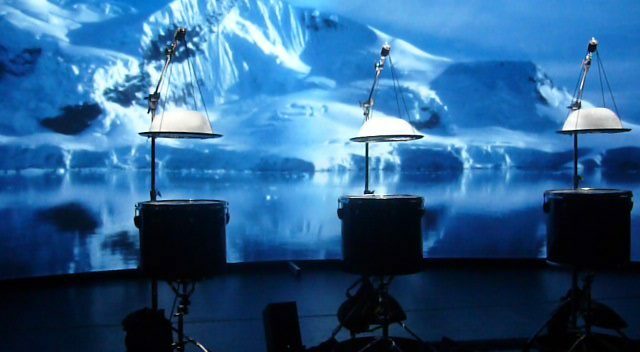 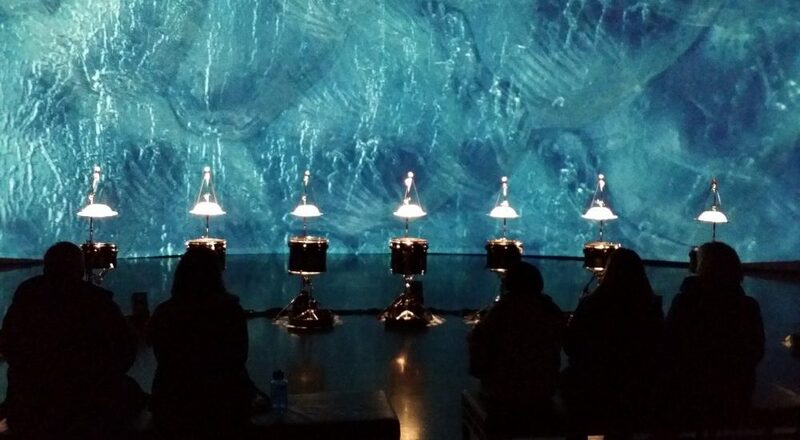 An innovative ice-melt actuated instrument created by Michael Gould, comprising suspended ice domes melting drip-by-drip onto an array of differently tuned drums, complements Rush’s score. 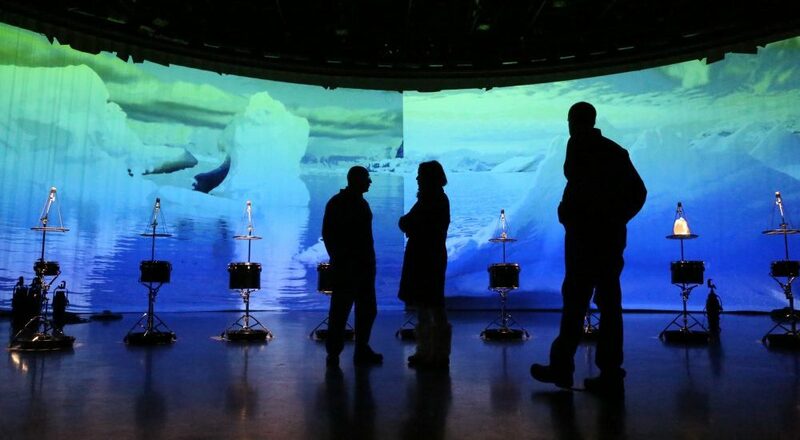 Photographs from both the Arctic and Antarctic taken from Pollak’s life-time archive and animated and edited by Marion Tränkle, provides a slowly evolving large-scale visual envelope for the installation. 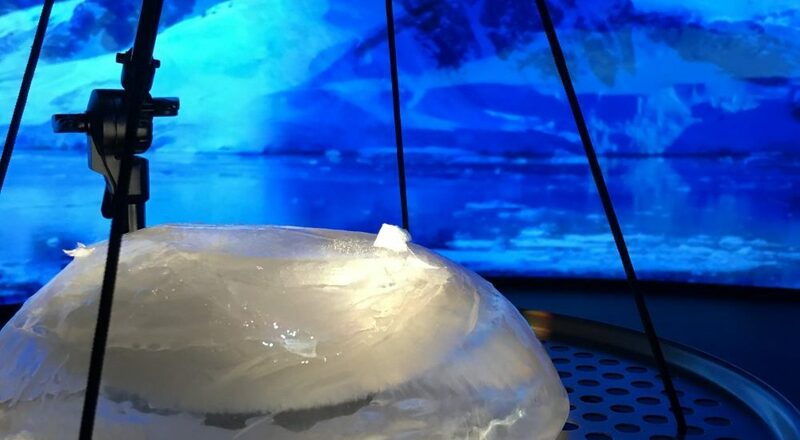 The musical composition carries the listener through large leaps in temperature, the randomly dripping ice yields an eerily beautiful and natural companion sound, and the film visually immerses the audience. 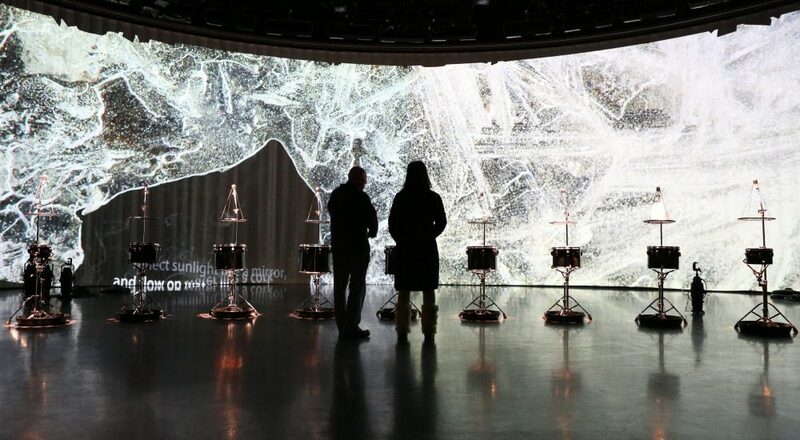 The overall narrative of the imagery takes the viewer from a totality of ice, slowly evolving into landscapes of ice, land and water, eventually to reach an enveloping ocean – a world without ice. 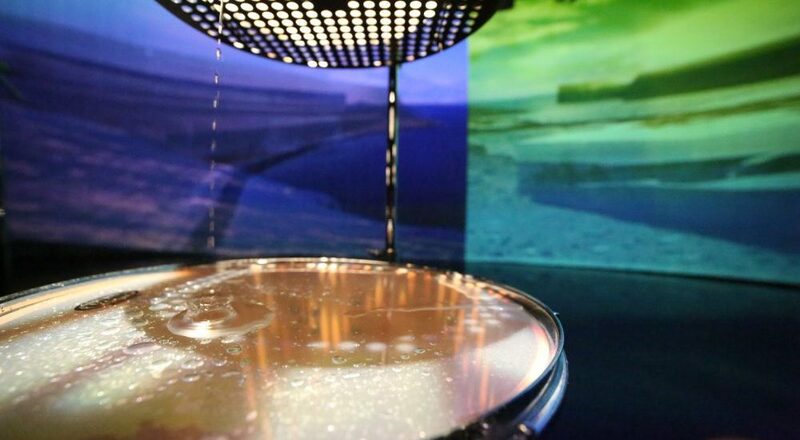 Article: in “The Mining Gazette” article on residency and installation.